This month’s Cause Marketing Masters webinar was all about gamification. We followed the same continuum outlined in our recent whitepaper: Cause+Brand+Game: The Gamification of Cause Marketing and walked the audience through the myriad ways that brands and causes could integrate game play into websites and campaigns to achieve a marketer’s holy grail: engagement. The continuum ranges from embedding game mechanics into existing online content to full-fledged social games and points in between. One of the interesting parts of the webinar were points we didn’t cover in the whitepaper: the WHY behind the gaming intrigue. What motivates us, as human beings, to engage with these new games? Why are they so captivating? For that, we asked Randy Paynter to lend his expertise. Randy is the Founder and CEO of Care2.com. With over 20 million members and employing game theory since their inception fourteen years ago, Randy and Care2 have a pretty good handle on this topic. Here are a few highlights (you can always access the recorded version of this webinar for free if you’re a CMF Member or pay the $99 if you’re not and get instant access to both the webinar recording, PowerPoint presentation and the whitepaper). As cause marketers, it’s our job to help people to feel – consumers won’t take action without this. We can make people feel by meeting their core human needs. If your brand or cause can meet ONE human need, you’re onto something. If you can meet TWO or even THREE of these, you’ll have raving fans. Randy focused on significance and connection and shared that in the cause marketing space, the need for contribution is also a core driver. So how do you translate these core human needs into your gamification program? 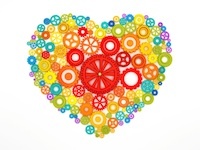 What are the core motivators for my customers? 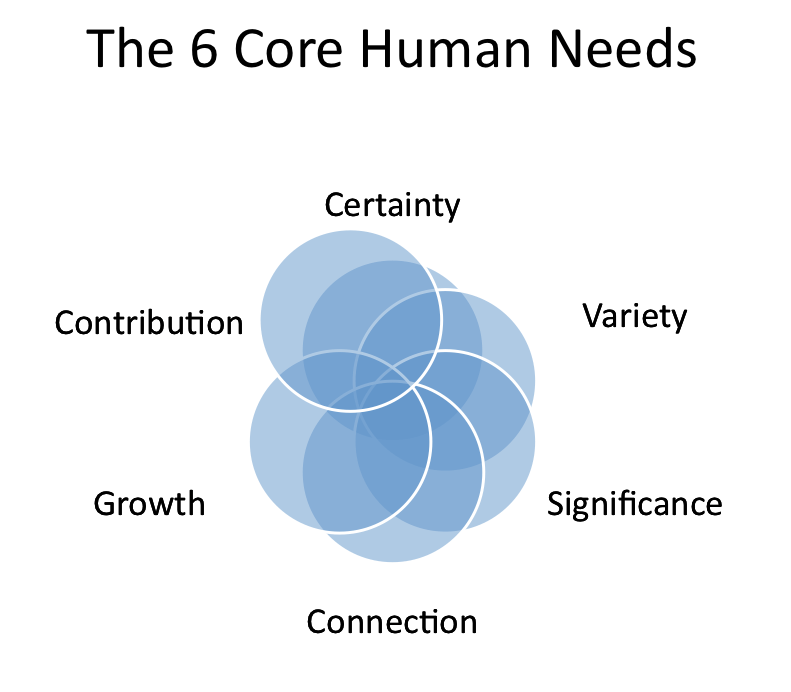 We all have these 6 human needs but what’s MOST important to your customers varies. For example, 18-year old males will probably value significance and variety maybe more than a baby-boomer woman. Once you figure out the core needs of your audience, your job is to figure out how your game concept will meet those needs. The way to do this through games is through fun. Actions – Which actions do you want people to take? Do you want them to: click on something, find something, watch a video, leave a comment or complete some challenge? Feedback – After users take an action, it’s extremely important to remember to provide immediate feedback, perhaps something like points or even something as basic a sound or graphical acknowledgement. 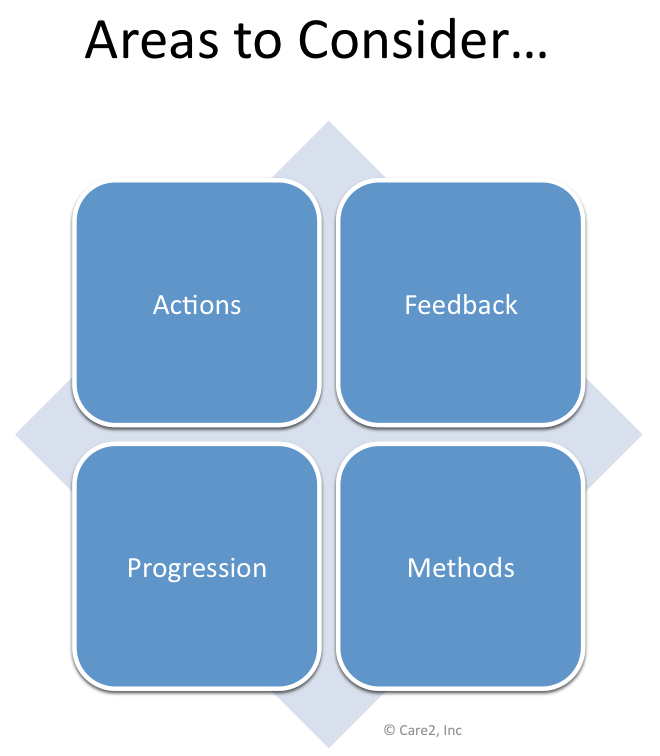 Progression – People like to complete actions and receive feedback – but only up to a certain point. It’s not fun for people to feel like they’re taking the same action without moving forward. Therefore, remember to build in progression or advancement. The results for Care2? Once they implemented ‘Butterfly Rewards’ program on their site, Care2 saw 7 times greater comments and a 7 to 9 times greater click-through rate for brand advertisers when Butterfly Rewards were given as a reward for taking this action. And all the above was explained by Randy in just the first 15 minutes of the webinar! More detailed examples of ways that cause, brand and game come together (plus some great audience questions) occupied the remainder of the session. Erin DeRuggiero provided some very tangible examples of a custom gaming experience designed for Electrolux and gave a thorough overview of Zynga’s model of embedding cause into their mainstream social games. If this is a topic that interests you, take a look! Have you experimented with implementing game tactics into your cause marketing efforts? Tell us about it in the comments below!